The service here is top notch. A property planned so that you really can feel like you are nearly its only guests. Excellent example of high-end luxury. Housed in a collection of thatched-roof bungalows on the Bora Bora lagoon, this luxury resort is 7 km from Bora Bora Yacht Club. On stilts above the lagoon, the plush bungalows offer porches, lounge areas with sofas and minifridges, plus satellite TV, free Wi-Fi and iPod docks. Some have private plunge pools. Upgraded bungalows offer pull-out sofas and extra rooms. Luxe beachfront villas feature private gardens and outdoor pools. Room service is available. Now widely renowned as the most romantic destination in the world, this magical island invites you to immerse yourself in French Polynesia’s famed tropical paradise. “Scarcely a spot on the universe affords a more luxurious prospect,” legendary Captain James Cook so described Bora Bora, the South Pacific’s most famous island, in his diary. 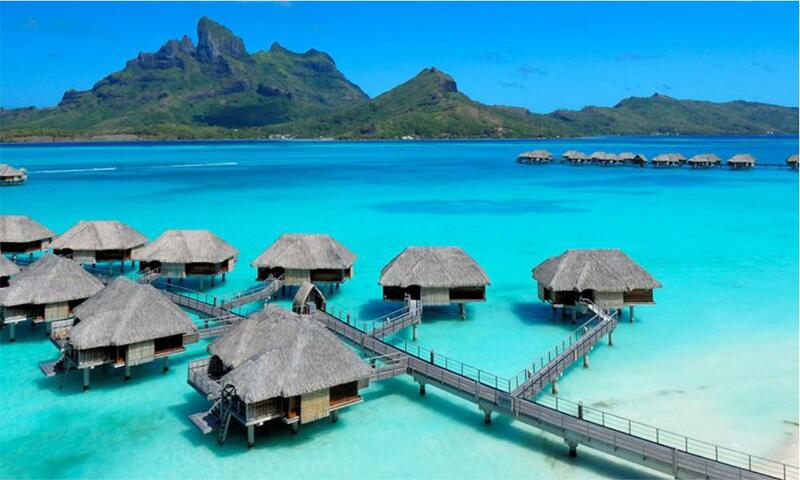 Four Seasons Resort makes for the perfect base for your Bora Bora vacation.